Few foods are as versatile and universally appealing as cheese (who doesn’t love it?) and rare is the party that doesn’t include it in some way. 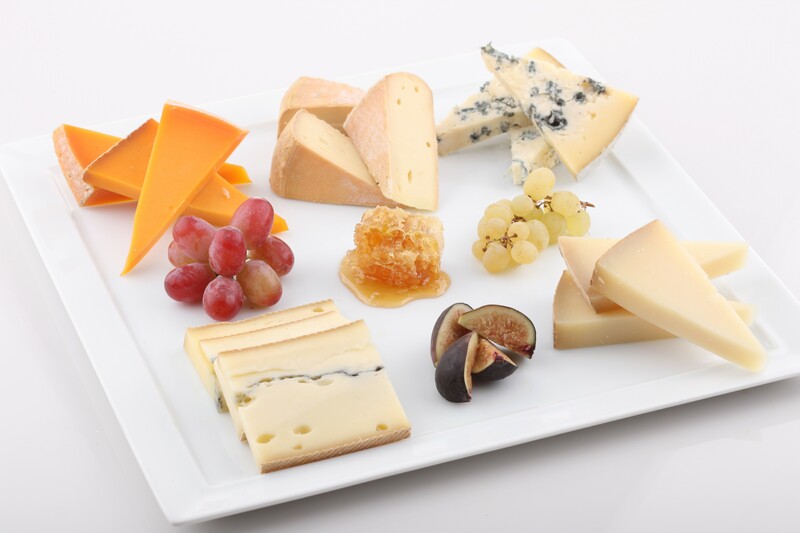 Impress your guests by featuring cheese front and center on a beautiful homemade cheese platter you assembled yourself. A good cheese plate offers a variety of styles and milk types, and has something for everyone from beginners to connoisseurs. Three to five cheeses per platter is plenty, allowing 1-3 oz per person as an appetizer, and if the options are overwhelming consider narrowing the field by choosing a region and going all local, all French, or all American, etc. When buying cheese it can be easy to get overwhelmed by all the choices but a good cheesemonger will be happy to offer samples and help you make selections based on your preferences, type of guests, and other food you plan to serve. Serve a variety of accompaniments to enhance the cheeses’ flavors like bread and crackers, nuts, dry and fresh fruit, olives, and quince paste. The cheesemonger can help you decide which accompaniments will go best with your specific cheeses.